Mobile users in 461 markets today get 50% faster peak speeds at no extra cost. 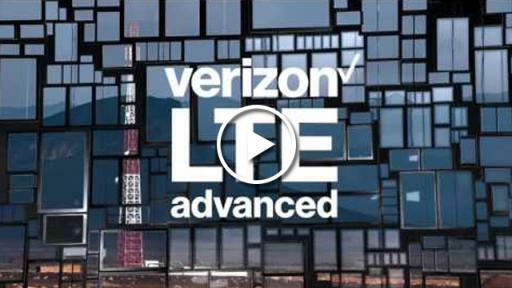 Introducing Verizon LTE Advanced. 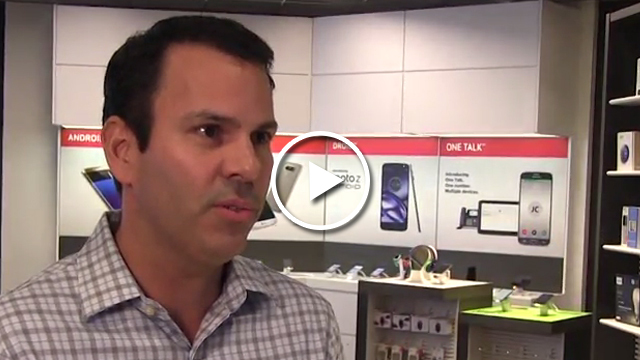 Mobile users in 461 cities today get 50% faster peak speeds at no extra cost. 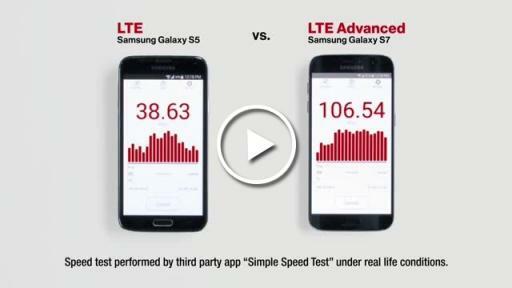 Introducing Verizon LTE Advanced. 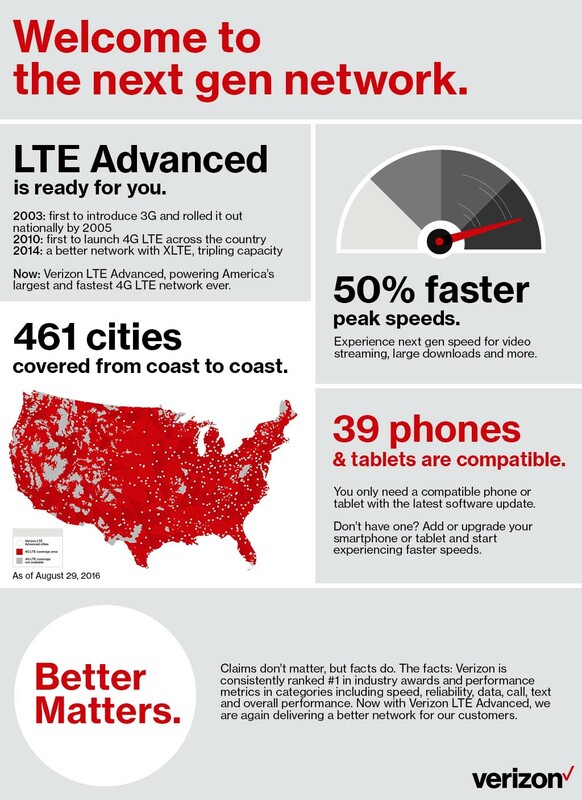 Verizon announced today it has launched LTE Advanced technology to bring 50% faster peak wireless data speeds to more than 288 million people in 461 cities from coast to coast. Verizon LTE Advanced hits all the major cities, and covers loads of less-served places including highways, interstates, country roads and rural America. So customers don’t need to stay in one place to get great high speed connections, they can use their mobile devices to actually be mobile and head to the places they work, vacation and want to go. 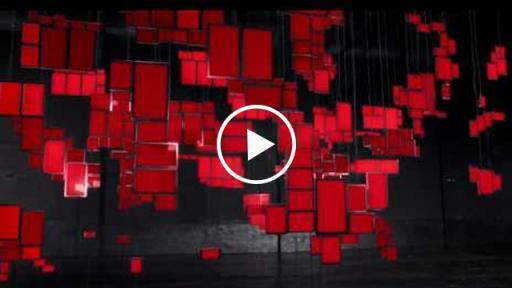 Verizon LTE Advanced uses software that combines multiple channels to speed mobile data over the network more quickly than ever before. The result is 50% faster peak speeds in cities nationwide for Verizon customers using one of the 39 LTE Advanced-capable phones and tablets already on Verizon’s network – including top-selling Samsung Galaxy S6 and S7 smartphones, Moto Droids and Apple iPhones. As new devices from Apple, Samsung, LG and other manufacturers are introduced, they will be LTE Advanced-capable right out of the box. Customers with a phone or tablet with LTE Advanced capabilities and the most recent software will benefit from these enhancements without effort or additional costs. 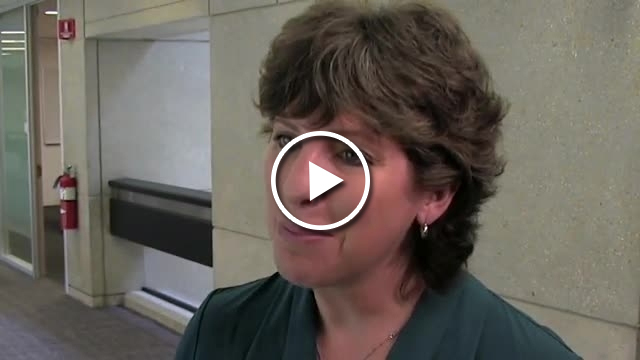 There are no extra plan costs, no settings to change, no indicators to check. Verizon LTE Advanced uses software to combine two or three bandwidth channels into one larger channel to send data sessions over the most efficient route to completion. This technology is called carrier aggregation and uses a combination of 700 MHz, AWS, and PCS spectrum. 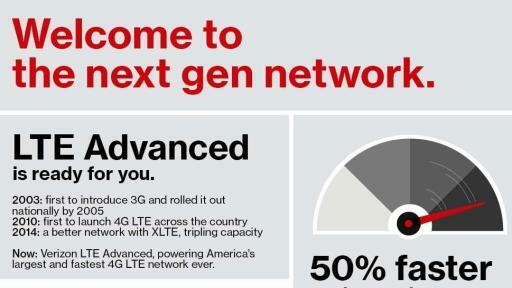 LTE Advanced currently uses a combination of two- and three-carrier aggregation. Customers will continue to enjoy typical download speeds of 5 – 12 Mbps, but two-channel carrier aggregation has shown peak download speeds of up to 225 Mbps, far exceeding the current speeds being experienced by wireless data networks nationwide. While the speeds of two channel carrier aggregation provide a leap forward, three-channel carrier aggregation provides even greater efficiency. Verizon engineers deploying three-channel carrier aggregation have experienced speeds greater than 300 Mbps. 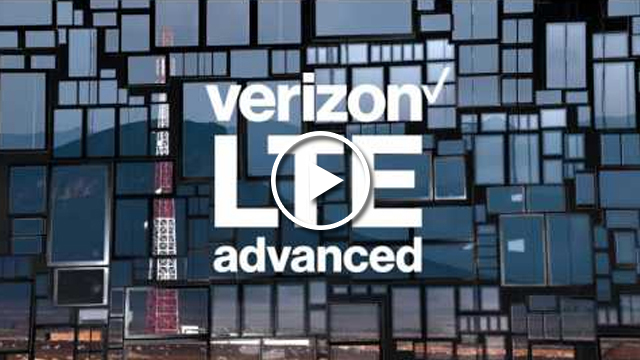 The Verizon LTE Advanced announcement is supported by a broad mass and social media campaign, including a new television ad that premieres tonight at shortly after 8:30 pm ET across major television networks including ABC, CBS, CWN, FOX and NBC. For a sneak peek of the commercial, please visit https://youtu.be/kI_vAAR6_Q8. Alabama, Florida, Georgia, Maryland, North Carolina, South Carolina, Tennessee, Virginia and Washington, D.C.
VERIZON’S ONLINE NEWS CENTER: News releases, feature stories, executive biographies and media contacts are available at Verizon’s online News Center at www.verizon.com/news/. News releases are also available through an RSS feed. To subscribe, visit www.verizon.com/about/rss-feeds/.